I am a jacket. And not just any jacket. I am a ten-year-old (equivalent to an ancient elder in my world) Arc’teryx Fission SL Jacket. 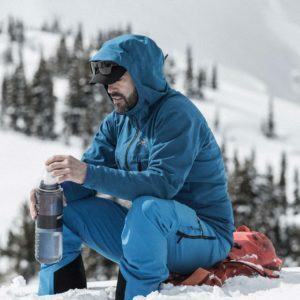 An ultra light, fully waterproof, insulated GORE-tex mountain warrior.